Kurdish religion dates back thousands of years. The Kurdish people have historically inhabited parts of the fertile crescent, an area where the three major Abrahamic or Semitic religions of Judaism, Christianity and Islam are widely recognized to have been founded. The most widely practiced Kurdish religion is Islam. According to a 2011 study conducted by the Pew Research Center, nearly all (98%) Kurds in Iraq identified as Sunni Muslim, while the other 2% identified as Shiite Muslims. The study noted that a small minority identified as neither Sunni nor Shiite. These Kurds prescribe to a number of religions, including a small percent who practice Christianity and Judaism, and speak Aramaic, the language that many scholars belive to have been spoken by Jesus Christ. Other religions in Kurdistan include Judaism, Babaism, Yezidism, and Yazdanism, which includes sects such as Yarsanism, and Alevism. Despite various religious fundamentalist groups in the region, Kurdish people, and Kurdish Muslims in particular, are widely recognized to be one of the few cultures in the Middle East that practice religious tolerance. In a move of religious tolerance and equality, the Kurdish Regional Government (KRG), refused to accept teachers form the Central Iraqi Government in 2012, and declared that Kurdish schools would be religiously neutral. 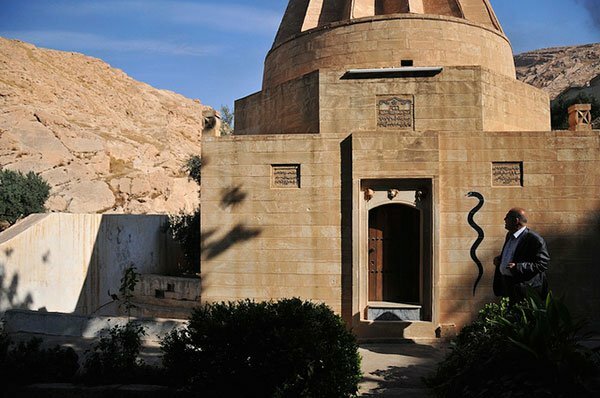 The KRG admits that its religious tolerance stems from a long history of suffering at the hands of “Islamic brothers.” Both their suffering, as well as their rich history have made Kurds particularly welcoming of other religions. The Kurdish people are not Arabs, but rather historically identify with the Medes, an ancient people described in the Bible. In fact, most Kurds were Christians long before they began converting to Islam in the sixth century. After WWII, when Israel became a nation and the Kurdish Jews left Kurdistan, many stories have been told about Muslim neighbors weeping over the loss of their Jewish neighbors and maintaining synagogues, in some cases for decades, in honor of their friends. A hallmark of the Kurdish culture, religious tolerance sets Kurdistan apart from its Arab and Muslim neighbors. You can read more about Kurdistan’s various religious histories in the following pages.